Last year I had a couple of cruising firsts. 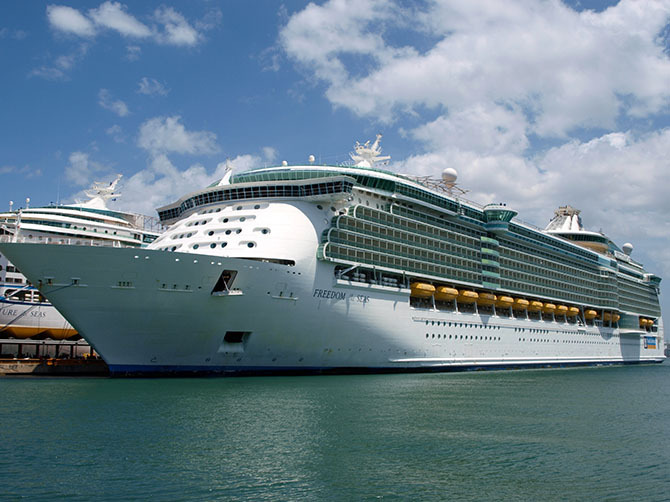 One was that after years sailing with Disney Cruise Line, I expanded my horizons (*gasp*) and sailed with Royal Caribbean on board Freedom of the Seas. I’ll post separately about her but in case you’re wondering, yes, she impressed! 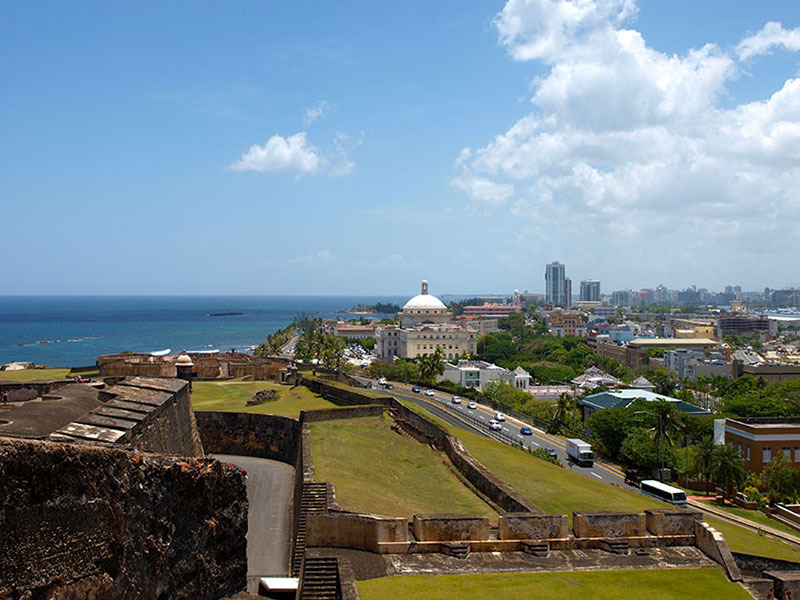 Another was that I visited a new port of call; San Juan, the capital of Puerto Rico. 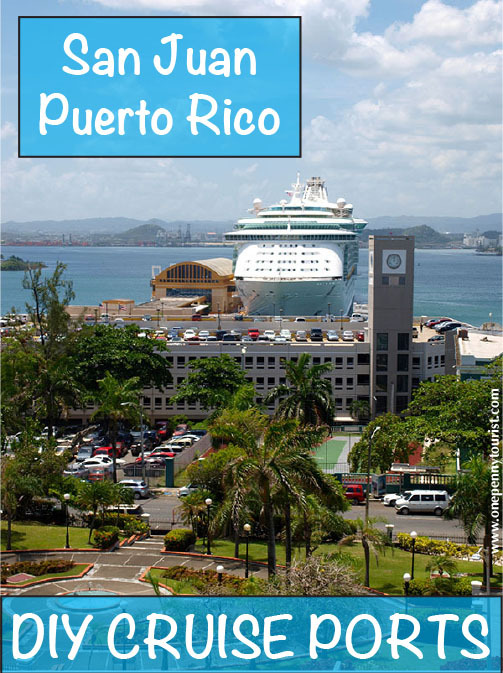 Personally I prefer to “DIY tour” if I can (for example see my St Thomas DIY tour, and my visits to Oslo and Kristiansand) and as long as your cruise ship docks at the Port of San Juan then it makes for a great DIY friendly port as Old San Juan is within easy walking distance of the cruise terminal. 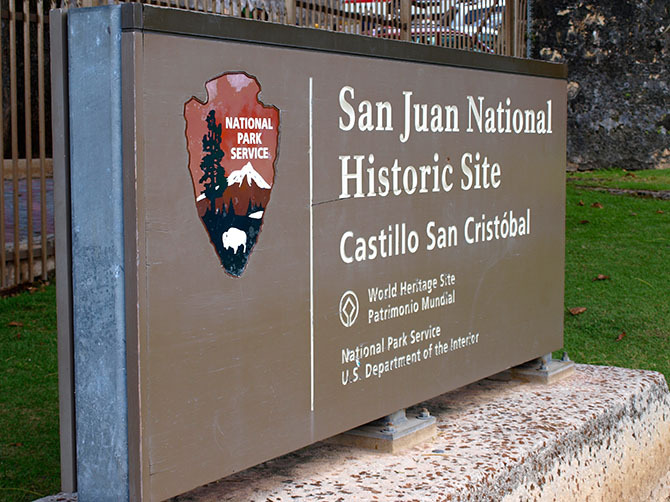 After researching San Juan to within an inch of it’s life, I decided that our main mission for the day should be to visit the Castillo San Cristobal. This fortification overlooks the historically strategic port and is literally only a 5-10 minute walk up fairly gentle hill from where we dock. Costing just $5 per person to enter, this fort is a great little place to explore and brags a long and interesting military history. 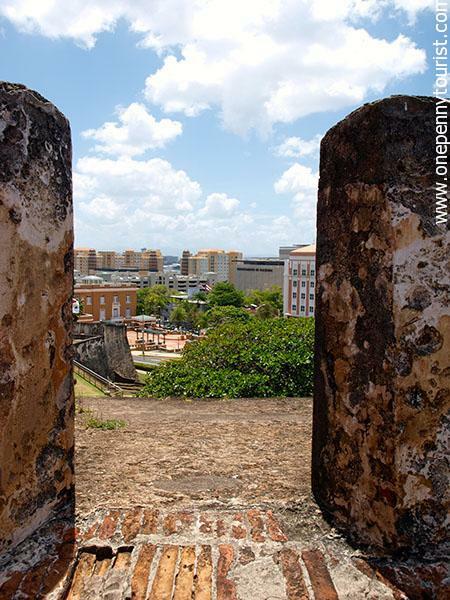 In addition to that, I knew there were some great views to be had over San Juan – and I was not disappointed. Looking along the coast in the opposite direction you can also see another of San Juan’s formidable fortresses (note: I did zoom in for this a bit, it’s not that close). 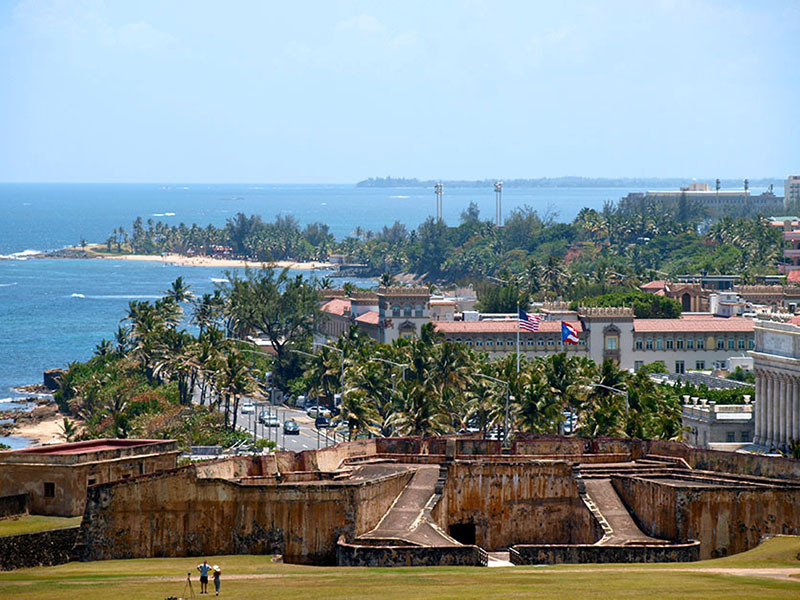 Castillo San Felipe del Morro stands guard over the entrance to San Juan Bay and if you’re arriving to San Juan by cruise ship you’ll easily spot this as you approach. 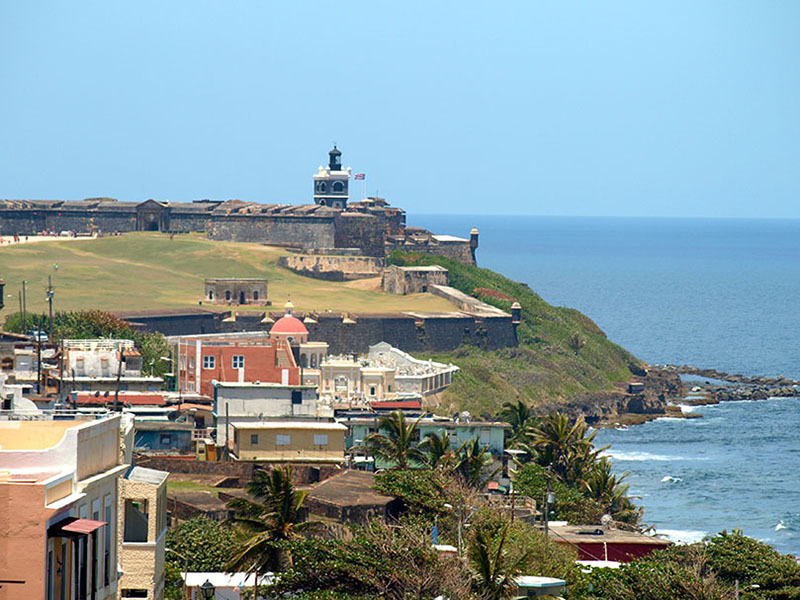 I am doing Castillo San Cristobal something of an injustice though because it’s definitely about more than the views so lets take a closer look at the fort, eh? 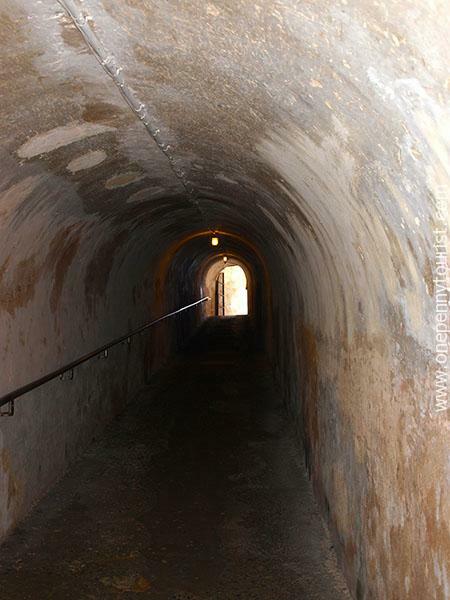 To enter the fortress it’s either up and over the walls or in via a narrow tunnel like the one above – yeah, good luck to any invading forces with that one. 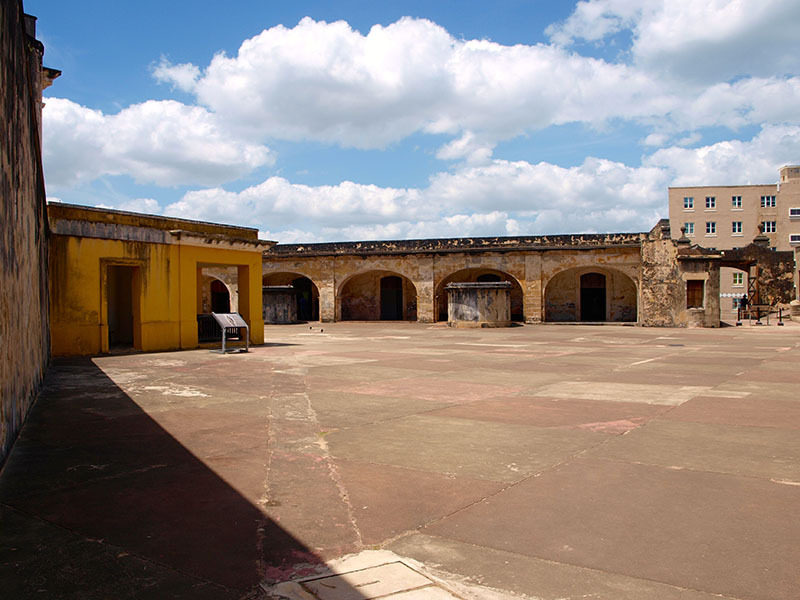 A pretty large and imposing courtyard is waiting to greet you at the top. 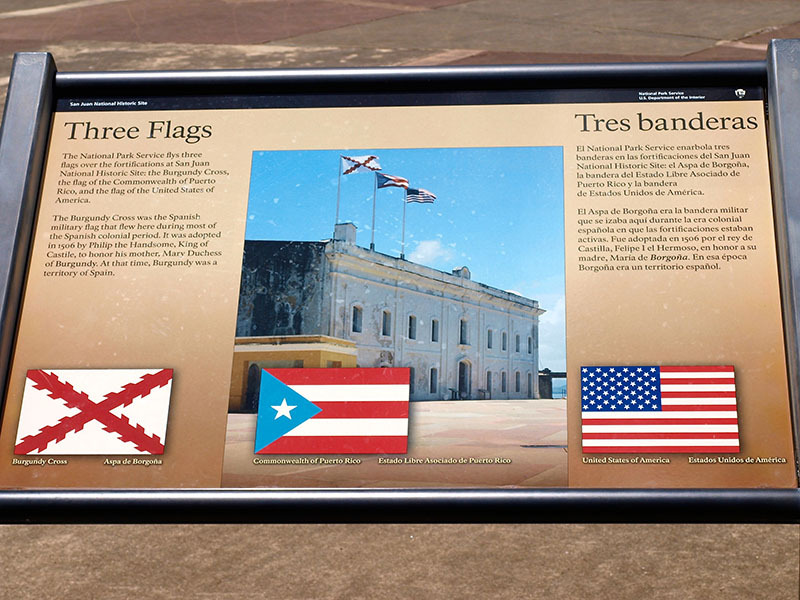 As we wandered around the courtyard we came across this little sign explaining the significance of the 3 flags that fly over Castillo San Cristobal. Here’s the real deal – as you can see, the building is, shall we say, a bit more ‘weathered’ than in their photo. All the buildings are open for you to walk around and view inside, so after exploring all their nooks and crannies we headed up the stairs to the top level area of the fort with it’s ramparts and guard towers. This is where we got our best views. 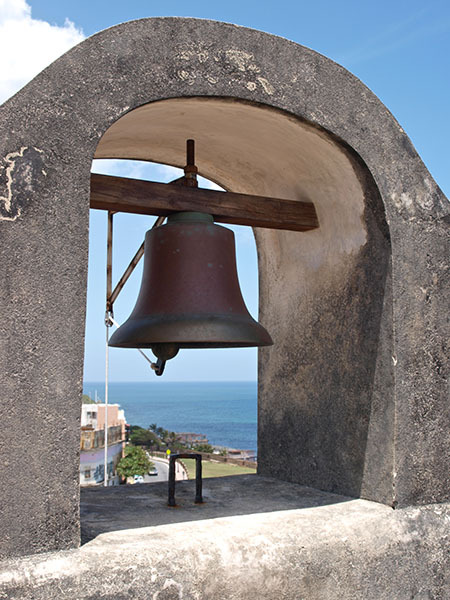 Presumably this bell was used for sounding the alarm. Up close and personal with the Three Flags. Another look at San Juan and it’s coastline. You also get the opportunity to take a nice photo of your ship from up there. See? I told you it was close to the cruise port. 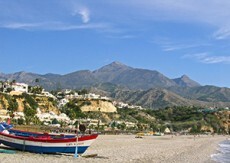 A DIY cruise port doesn’t get much easier than this. 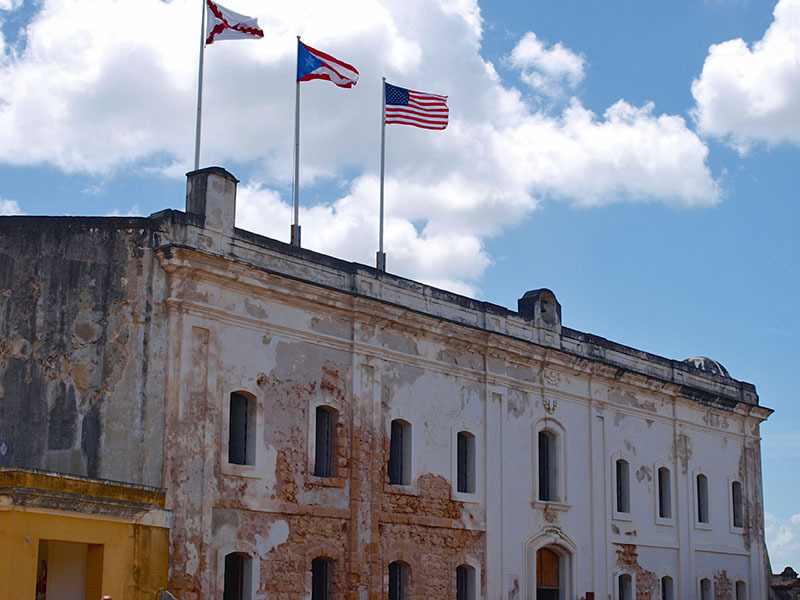 We knew it wasn’t going to take all day to explore Castillo San Cristobal so the plan was to spend some time afterwards strolling the streets of Old San Juan and maybe have a drink or a nibble at a local bar. We did have a bit of wander however, even though it was still early May we were positively melting in the heat. Stone buildings combined with narrow streets does not make for a good combo. With the heat being so oppressive we eventually decided to head back to the ship for a late lunch and relax with a tasty little cocktail there instead. 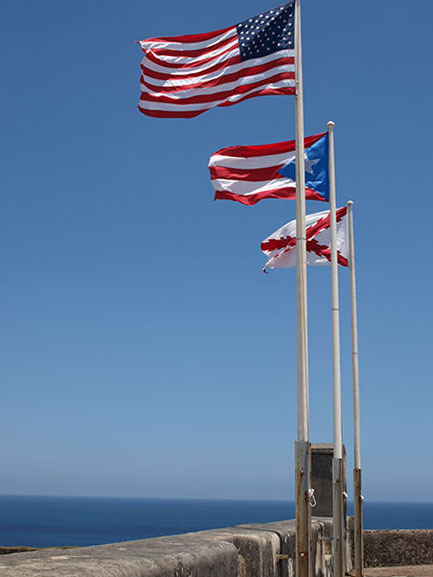 All in all we really enjoyed our visit to San Juan. 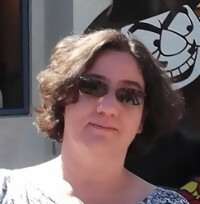 I don’t know if it was freakishly hot for that time of year or not but we did find the heat to be surprisingly brutal. I’m glad we left the ship as early as we did in the morning so we could enjoy Castillo San Cristobal before it became too uncomfortable. Definitely something to bear in mind for future visits.